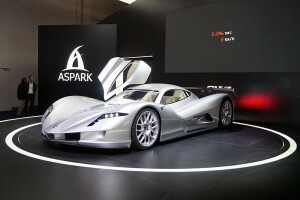 Japan’s Aspark Owl has done the unthinkable in going 0 to 60 in under 2 seconds as a street-legal hypercar. To be specific, it was 1.921 seconds, the car’s first major accomplishment since being launched at the Frankfurt Auto Show last year. The car actually utilized a set of Hoosier racing tires in order to achieve the milestone but the company says they are making tweaks to ensure the same result can be attained on street-legal tires. Aspark says the OWL will enter a production run of 50 units in the near future, and will be priced at about $4.4 million.